“No wonder you’ve been so tired, my friend. The test results indicate that you have an inoperable Stage IV pancreatic cancer. With special care, you might have three to six months. I’m so sorry.” So said the oncologist to the gentle warrior, with Viking blood, and his wife seated in the examining room of the clinic that October afternoon. Such scenarios are played out daily, but few share their responses. Not our gentle warrior. He described himself as knocked down upon his square, but not knocked off. Drawing upon his decades-long practice of the 12 Steps of Alcoholics Anonymous, he stood up, adjusted his armor, and tromped back into the fray. He would not isolate, but share his probing into dark places for their inestimable treasures. Always a writer, he took to his computer. What followed from that decision was a parcel of poignant emails and journal entries sent first to family and friends, but then to his worldwide audience. Each sentence breathed absolute trust in his Father, his understanding of God, as he watched the cancer waste his energy, bloat his abdomen, wrack him with nausea and joint pains. Even when barfing in the toilet he felt the Christ join him on his cross; within this awareness, they both began laughing knowing this would pass. And it did. On January 11, 2011, he breathed his last, attended by his oldest grandson in Minneapolis’s Unity Hospital. 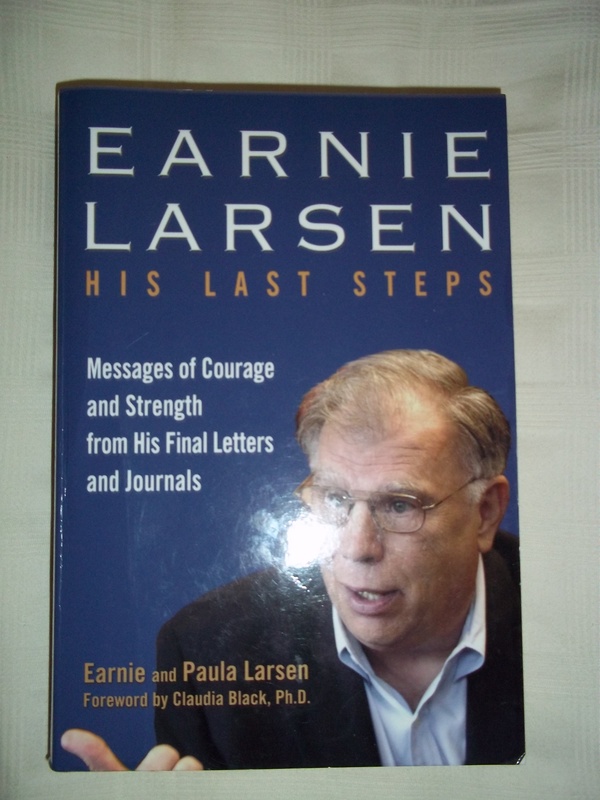 Fortunately for us, his wife Paula compiled these emails and journal entries into a special book, Earnie Larsen – His Last Steps (2012). It is available on Amazon.